By Jade Craven | March 19, 2019 | This post may contain affiliate links, which means we may receive a small commission, at no cost to you, if you make a purchase through a link. Read our Disclosure. Welcome to this weeks edition of the Sunday Spotlight – Things to do in Prague. This series is a collaboration of travel tips and stories shared by other bloggers and travelers around the web. We hope these tips and stories will inform and inspire you to visit Prague. If you have already been to Prague, please share a tip in the comments down below! 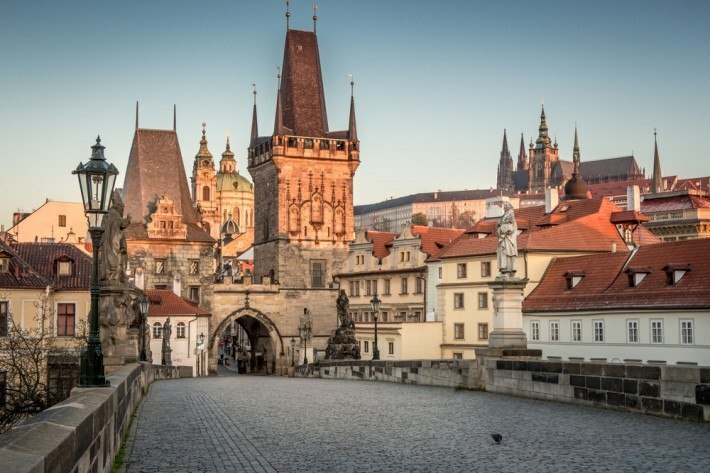 Beyond the requisites of the Charles Bridge, Prague Castle and Old Town Square — worthy destinations in their own rights — there’s a wealth of spectacular sights, quirky attractions and vibrant neighborhoods to discover in the Golden City. The bohemian city of Prague, with its skyline of gothic spires and narrow cobbled streets, is perfect for a romantic city break. It also offers many cultural hotspots, including Kafka’s house and the Mozart Museum. Click here to grab your tickets to the museum. Travel Massive asked Prague expat and foodie Shannon Maroney for tips to discover “the best of Prague” from a local. For the culinary enthusiast one should consider a food tour. Check out this tour here with local foodies Vladimir and Ursa where you will discover unique culinary delights Prague has to offer. As Prague has stepped further out of the shadows of Communism and welcomed more visitors, the tourist infrastructure has grown and now it’s easier than ever to explore the City of a Hundred Spires. If you’re thinking about a trip to Prague, here’s what you need to know. Prague is a city with a rich history and culture, so with some good research and plenty of time, you should find many less touristy things to do. Clubs and pubs not your thing? These nighttime outings give visitors a peek into what the locals are doing after dark as well as a taste of Prague’s quirkier cultural offerings. For a local experience check out the beautiful homes and apartments available on Airbnb in Prague. For places to stay in Prague choose from the largest range of hotels, apartments, and guesthouses with our partner Booking.com. You get free cancelation on most rooms, and in most cases you only pay when you stay. Traveling from Budapest to Prague brings you to two of Eastern Europe’s most enticing capitals, and the Eurail pass makes it easy. 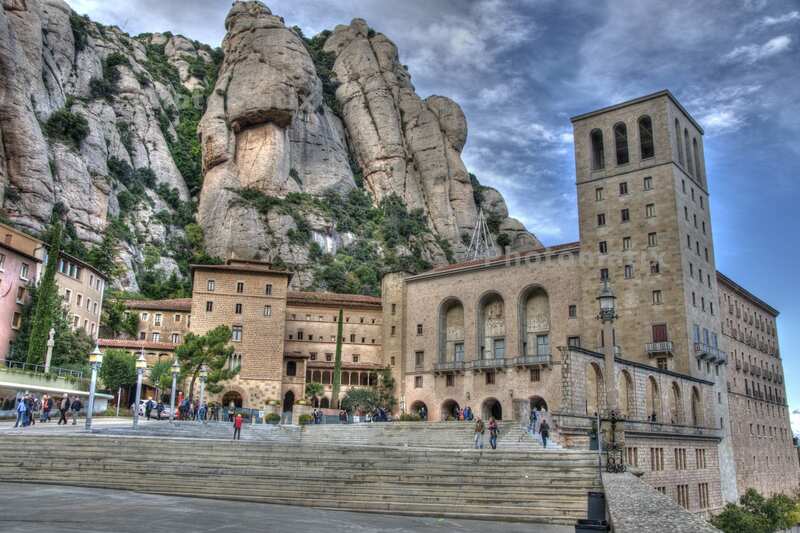 Both cities straddle great rivers, and both offer historical highlights from the medieval to the art nouveau. Prague certainly is a wonderful city with countless things to do and see, but it is definitely not all that the Czech Republic has to offer. The entire country is full of quaint little towns and big bustling cities just waiting to be discovered, yet hardly visited by the average tourist. Prague alone is brimming with history and quirky fun facts. The countryside and surrounding towns are equally beguiling. If you’re visiting Prague, allow yourself at least an extra day to explore more than just the capital city. You won’t be disappointed. The more I explored this great city, the more the cultural nuance intrigued me and inspired me to dig deeper. Here are some of the sights and bites I enjoyed in the 24 hours I was there. Prague – the Golden City of 100 Spires, as it is often called, has something magical. The city has an exemplary flair of Eastern Europe but is still unique. Simply a true cultural metropolis with a long history. Most of the important sights you can explore perfectly on a one-day trip by foot and that’s what we’re gonna do in this article. So many new developments have appeared in Prague that you could spend an entire weekend visiting only those places that have opened in the past couple of years. See Prague Castle, Charles Bridge and all the other classic attractions. But finish out your stay with some of the vibrant newcomers. Prague, although a fairly compact city, certainly has a lot to see. Thankfully, for anyone who’s planning a trip to this incredibly beautiful city, Deborah Lonergan from It’s about sixty…., is here to tell us the most efficient and enjoyable way to visit Prague in two days. The panoramic views of the diverse and unique architecture that runs alongside the river is stunning and an appropriate greeting to welcome you into what I found to be a fascinating and beautiful city. 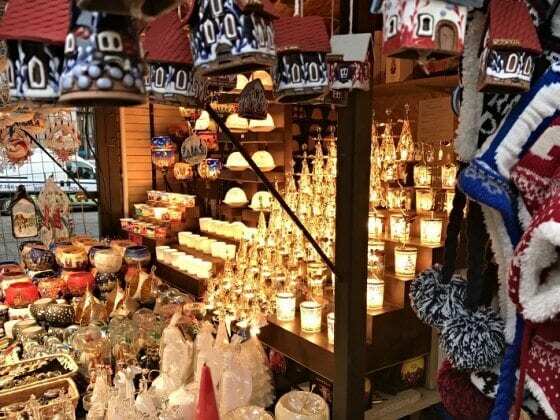 I was lucky enough to spend a weekend in the charming and historic capital city of the Czech Republic and as a result, would like to share with you some of my top tips to make the most of your visit to Prague. It starts with the winding streets that lure you into the Old Town Square where on a sunny day I could have sat all day and people watched. From the Old Town you are lead out across Charles Bridge and up to the stunning Prague Castle that is a sight to see during the day let along at night from the bridge. Oh and let’s not forget they know how to make a beer here as well. A weekend in Prague for under $100. If you’re planning to be in Europe, why not stop on by? You’ll be glad you did. Traveling in Prague for under $30 a day isn’t as easy as it once was. In fact, is it still even possible to get a night’s lodging, three meals, transportation, and a day of sight-seeing in for under $30 US? Let’s find out. From home-cooked staples and tempting street food to traditional baked sweets and beverages with a story, there are deep-rooted culinary traditions awaiting discovery around every nook and cranny of the beautiful Czech capital of Prague. To get you started, we’re passing along our list of the top ten foods and beverages to indulge in when visiting the Golden City. Food tours are a great way to experience new cities. They provide a quick introduction to the city’s history, plus you’ll learn which restaurants are the best for the remainder of your stay. No stranger to lad getaways, stag dos and bachelor parties, Prague is a beer drinkers’ paradise full to bursting with pubs and bars that serve the finest beers in the Czech Republic. 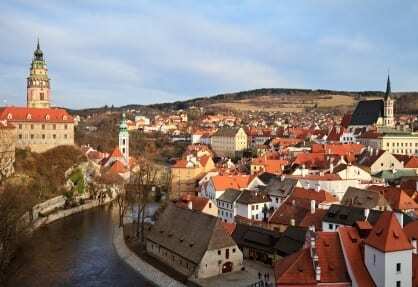 Looking for a secret hidden destination in the Czech Republic? Booking.com has 1,800 properties in Prague including hotels, apartments, and hostels. You get free cancelation on most rooms and a best price guarantee. Do you have tips on things to do in Prague? Share in the comments. What a list of resources! Thanks for including my post about less touristy things to do in Prague. It is one of my favorite places in the world! Love this list of resources for visiting Prague. There’s something for everyone! And thanks so much for including our article on how to see Prague in two days. What a great write up and resource! Thanks so much for including me in it! I love Prague and think anyone who has the chance and passes it up is missing out! I would recommend another secret place – ancient castles in Poland – Niemodlin Castle. It is an interesting monument of Silesia, a star of the screen! Have a great trip Kadir! I always love the Charles Bridge in Prague (especially early evening), it’s number 3 in my top 25 list! Me and my boyfriend had only two days to see Prague. Absolutely agree with your list! Espesially with article “save money in Prague” and travelling with $30 lol, guys don’t think that expensive hotels are always better. Sometimes you should choose between “royal comfort” and spending money for having a good time. We lived in very nice and clean hostel in Old town. Absolutely no regrets! At least we saved money for tour that we always wanted to try. If you’re an active person as we are you definitely should try running tour of Prague. It takes abot two hours running with guide-coach and maps, seeing all sights of the Prague city center. It was totally amazing! If you’re interested to take this journey check this website, we did our reservation here http://vivaster.com/ . Good luck with your trip to Prague! I’m thinking about eather Budapest or Prague and this might have just skewed my thinking a bit. It looks like there are things to do in Prague that I had never seen before. Beautiful city! Great article by the way. What a wonderful city! I was in Prague last week for three days and to make the best out of my time, I decided to go for a private tour – something I have never done before. After bit of a searching I booked a tour with a company called LucyTours. And it was well worth it! I met with Romen (hopefully I am spelling it right) at the reception of my hotel and he showed me around the city center. He was simply amazing, able to answer all my questions and taking me to places I would have never found on my own. He also gave me plenty of tips on what to do afterwards. I wish to share this experience with others, so here is a link to the tour I book – http://www.lucytours.com/private-tour/discover-prague-tour/8 . And ask for Romen! Hi all, I would like to share a tip how to explore Prague in the very specific way. The new attraction called Beerbike Prague (http://beerbikeprague.cz/) was established last year there. It provides cycling with up to fifteen friends, drinking typical czech beer Plzeň and listening music of your own choice. 🙂 Hope you like it. Its a very nice post, I really recommend to walk along the river Vltava. Hi! I was in Prague last week and really enjoyed it, because of your recommendations. We visited Prague castle and these typical tourist places. Prague is surely a very beautiful city. We wanted something more, so we searched for some interesting and non typical places. For example, search for pubs in non traffic streets, there are many of them. We even played an escape room and i want to play them in England cause i didnt know that these games are so much fun! I really recommend you to visit https://questerland.cz/en/, you will really enjoy it. We were to cinemas, museums and much more. Prague is a ideal city to have fun even with your family. hi, it is one of the cities. I would love to visit,. I am dying to see Charles Bridge. thank you very much for the travel tips.